A Santa Barbara residential property that functions as a preschool and animal rescue facility also clandestinely functioned as a drug lab, with narcotics being manufactured, sold and used just feet away from where toddlers were learning, according to the Santa Barbara County Sheriff’s Office. 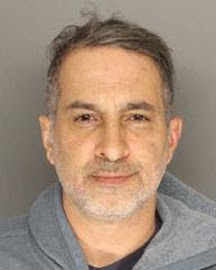 At about 10 a.m. on Monday, sheriff’s deputies searched a home in the 100 block of Nogal Drive and discovered the owner of the property, 52-year-old Charles Romanus, a convicted felon, was operating a drug house. Investigators seized chemicals, dozens of syringes and other narcotics related paraphernalia, as well as a firearm and other items. During the investigation, deputies learned that Harmony Preschool was located on the same property. The preschool has approximately 11 students ages two to five. It has been operating at the location for the last 11 years. Due to the holiday break, no students were present at the preschool at the time of the search. Still, authorities attempted to evacuate the preschool. Special Investigations Bureau detectives, as well as Santa Barbara County fire personnel, arrived at the scene and removed hazardous chemicals from the home that were associated with the narcotics manufacturing operation. Sheriff’s officials say Romanus also operated a nonprofit animal rescue facility at the property. Santa Barbara County Animal Control removed six cats from the facility. 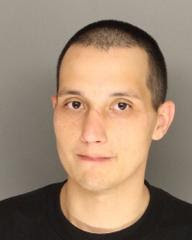 Deputies arrested Romanus and booked him into the Santa Barbara County Jail on charges of illegally manufacturing narcotics, violating the Drug Trafficking and Schoolyard Act of 1988, child endangerment, operating or maintaining a place for narcotics use and being a felon in possession of a firearm. Romanus’ bail was set at $100,000. 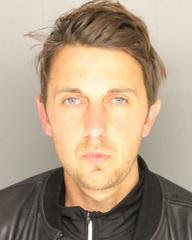 Two other suspects were also arrested: Brandon Topete, 24, of Goleta and Henry Hewitt, 32, of Santa Barbara. Topete is facing narcotics related charges and is charged with having a felony warrant for robbery, while Hewitt was arrested for impersonating another and forgery. Any parents of children who attend Harmony Preschool are asked to call the sheriff’s office at (805) 681-4100 if they are concerned about their child’s possible exposure risks. Anyone who has information about the incident is also asked to contact the sheriff’s office.